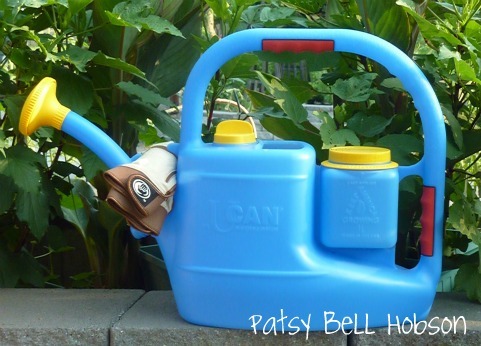 Home and garden product recommendations from first hand experience. 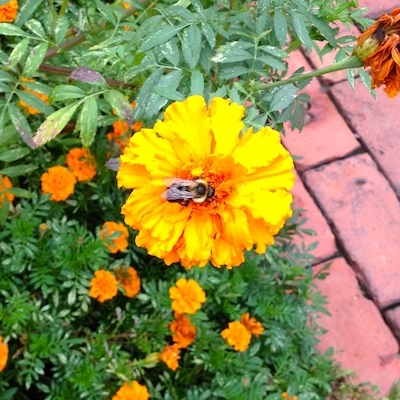 Bees Make the Best Pets by Jack Mingo – All the Buzz about Being Resilient, Collaborative, Industrious, Generous, and Sweet – Straight from the Hive. The memory jogger “A pint’s a pound the world around” may help you out in culinary school, but a pint of honey weighs 1 pound, 6 ounces. The book oozes with bee facts and trivia like this. If you are looking for protection from marauding elephants in your garden, curious about the color and quality of the highly touted local honey, or are curious about the role of bees in the Civil War, buy this book. Winter is a good time for reading bee guides, brushing up on beekeeping knowledge and skills. Bees Make the Best Pets, is an entertaining read. Perfect for a winter read, while gardeners wait to get into the spring garden. Your cabin fever and desire to get back in the garden is, by the way, no greater than that of the honey bees. The author started out simply as wanting one simple observation hive. But keeping bees is likely to become a bigger project than you might anticipate. Bees demand more time, space and money than you might think. If you are thinking about raising bees, ever wondered if it would make your great garden even better, or are looking increase your own revenue stream, read this book first. Looking at bee keeping as a natural step toward sustainable living, Bees Make the Best Pets can teach you a lot about raising bees. It is a sweet introduction to raising bees. 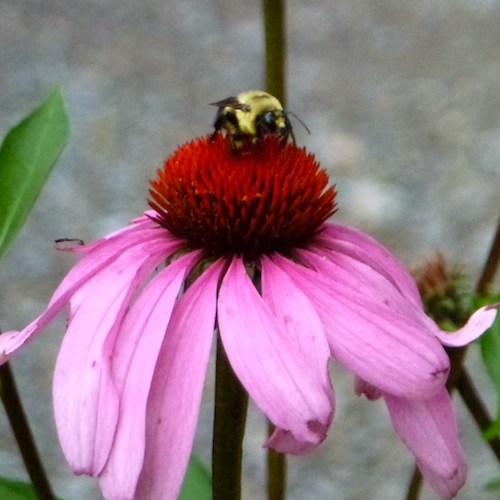 Raising bees may prove to be a boost for garden productivity. Or, consider bee keeping as a fun hobby. Bees do make good pets and this book is a gentle introduction to the world of back yard bee keeping. I’ve always flirted with the idea of raising bees. This paperback book is light introduction to the art of keeping bees. It will load you up on bee humor and trivia, guaranteeing your success at happy hours and tea parties. Thankfully, this book is not a tedious accounting of the business of beekeeping. There are plenty of good manuals and how-to handbooks for that. 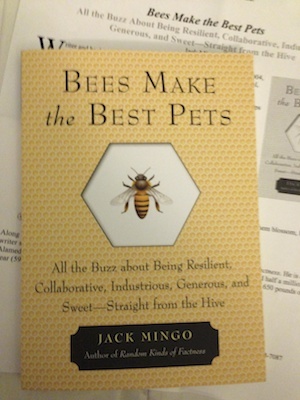 Jack Mingo’s book is a fun and sweet introduction to raising bees. Future honey beekeepers, gardeners, readers looking for a light and humorous winter read, will like this book. Jack Mingo published over 20 books, including Random Kinds of Factness (Conari, 2005. He is an author specializing in offbeat trivia books. Mingo keeps six hives, and half a million bees, in his California Bay Area back yard. It takes around 25,000 trips between the hive and the flowers to produce a pound of honey. A pound of honey contains the essence of about 2 million flowers. The color of honey ranges from white through golden to dark brown. Usually the darker the color the stronger the flavor. Most harmful bacteria cannot live in honey, making honey one of the safest foods. Bees been producing honey from flowering plants for 10-20 million years. This is not my idea, but I’ve been using this one batch for a year. What I learned: make this in good weather, outside, on a windless day. Method: Grate the Felsnapath soap using a food processor. Add in a scoop of oxi-lean or borax and pulse until it resembles fine crumbs (the addition of powder helps the soap from clumping). Combine the ingredients 1 cup at a time, mix together, then repeat until all components are used. If only I had read this little detail. I used a box grater on the bar soap not the food processor. Go with the food processor. There are other recipes on Pinterest and blogs. They call for 1 cup of this and a cup and a half of that. I only bought all this stuff to make laundry soap. The recipe that calls for a whole box of this and a whole bar of that is a better idea. 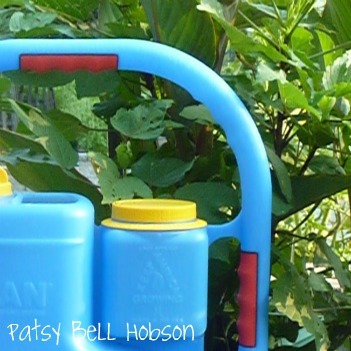 Before you start, decide what kind of container you will use for this huge amount of laundry detergent. I used a popcorn can. 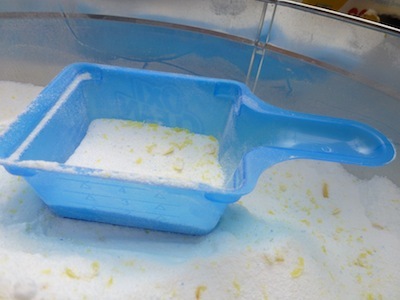 Then we scoop some of the laundry detergent back into the oxi-clean container to use near the wash machine. Plus, there is a measuring scoop in the Oxi-Clean, which is handy. The big can will be stored in the closet. 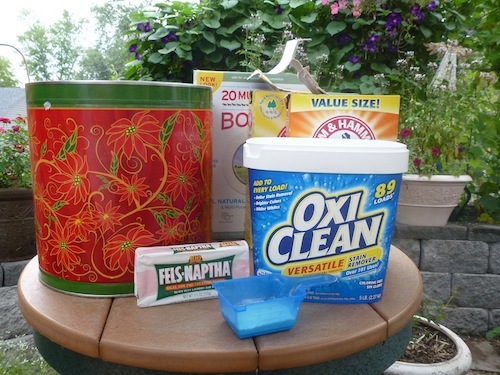 Only the small Oxi-Clean (home-made laundry detergent) container is exposed to the air and humidity. Good thing because this batch of laundry soap will last us for a couple of years.